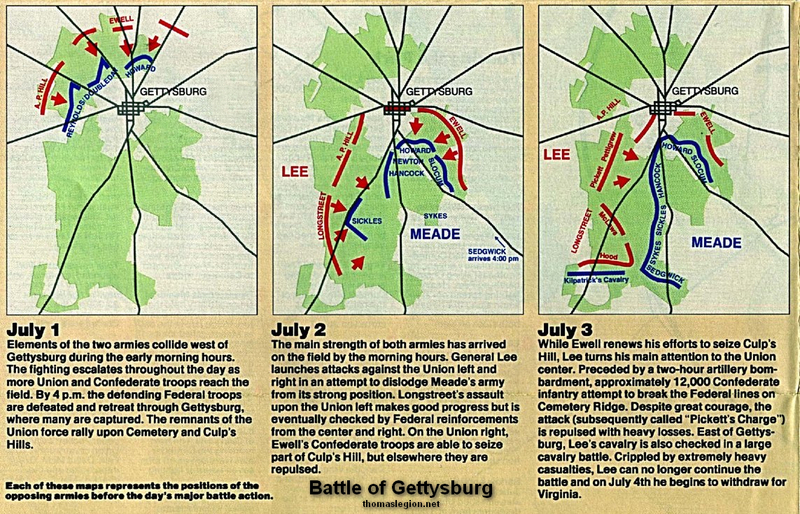 The first day’s battle of Gettysburg (at McPherson’s Ridge, Oak Hill, Oak Ridge, Seminary Ridge, Barlow’s Knoll and in and around the town) involved some 50,000 soldiers of which roughly 15,500 were killed, wounded, captured or missing. The initial day in itself ranks as the 12th bloodiest battle of the Civil War. The battle began early on the morning of July 1 when a Confederate column under General Henry Heth, marching east from Cashtown encountered Union pickets three miles west of Gettysburg. Opponents sparred over the gently rolling farmland west of Gettysburg, until the cavalrymen were forced back to McPherson's Ridge where Union infantry were just then arriving at 10 A.M. In the early hours of July 1, 1863, Gen. A. P. Hill directed his corps of the Army of Northern Virginia to make a reconnaissance in force toward the town of Gettysburg. 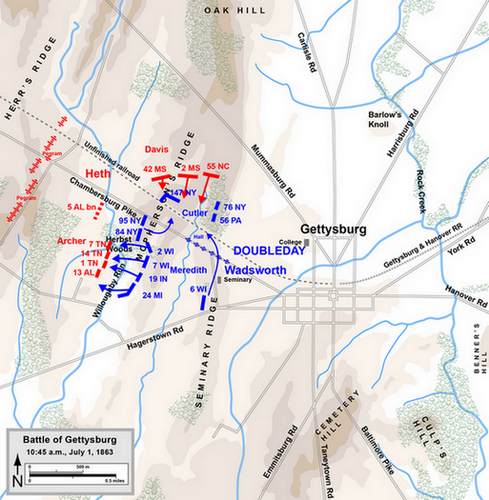 Just after 7 A.M. Confederates of Gen Henry Heth's division encountered Union cavalry under Gen. John Buford posted just west of Willoughby's Run. Heth's men pressed their attack only to discover that the Federal horsemen had been reinforced by tough veteran troops of the Army of the Potomac under Gen. John Reynolds. 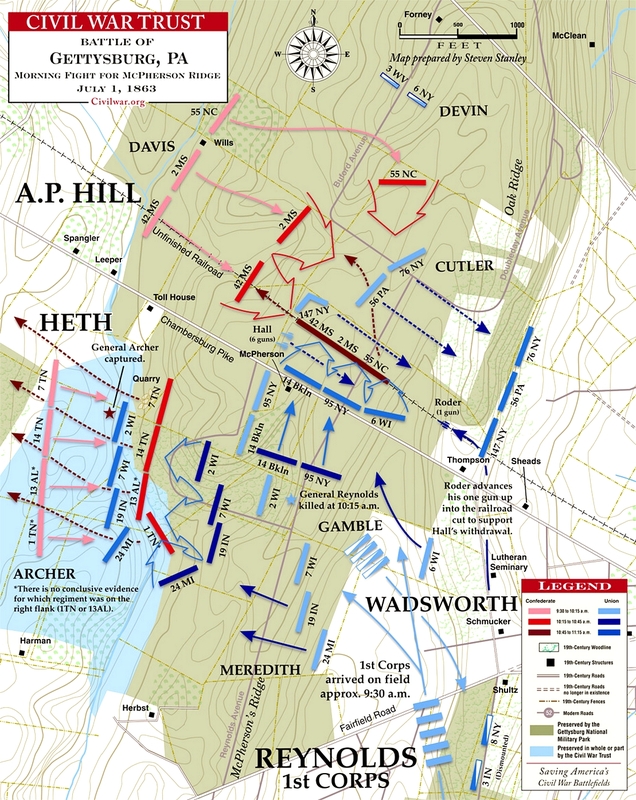 In a vicious and bloody struggle, the Yankees rushed to fend off the Southern assault, making their stand along Willoughby's Run and on McPherson's Ridge. In spite of the staunch Union resistance, the Confederates had the advantage in terms of numbers and position. As the battle ensued, more Confederates under Gen. Richard S. Ewell arrived from the north, threatening the Federal right. 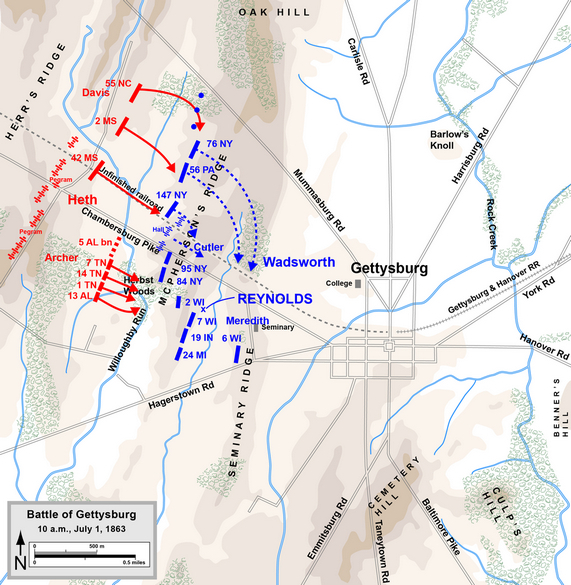 Compelled to retreat, the Federals fell back through and around Gettysburg and reformed on high ground to the south and east of town. After blunting the Confederate advance on the morning of July 1, the Union Army of the Potomac was straining to stave off the increasing number of Confederates gathering west of Gettysburg. Elements of the First and Eleventh Corps occupied at tenuous position along McPherson's and Oak Ridges, and had managed to hold those positions since the mid-morning. Federal reinforcements, however, were slow to arrive. The Army of Northern Virginia, by contrast was growing in strength at an almost exponential rate. Arriving from the North the divisions of generals Robert Rodes and Jubal Early threatened the Federals' exposed left. In the late afternoon, Rodes division smashed into the First corps troops on Oak Ridge. At the same time, Gen. Henry Heth's division--now reinforced by troops under Gen. Dorsey Pender--pressed the Yankees on McPherson's Ridge. Without reinforcements, the Union troops were compelled to fall back and reform on the heights south and east of Gettysburg. On the morning of July 1, Union cavalry in the division of Brig. Gen. John Buford were awaiting the approach of Confederate infantry from the direction of Cashtown, to the northwest. Confederate forces from the brigade of Brig. Gen. J. Johnston Pettigrew had briefly clashed with Union forces the day before but believed they were Pennsylvania militia of little consequence, not the regular army cavalry that was screening the approach of the Army of the Potomac. Gen. Buford realized the importance of the high ground directly to the south of Gettysburg. He knew that if the Confederates could gain control of the heights, Meade's army would have a hard time dislodging them. 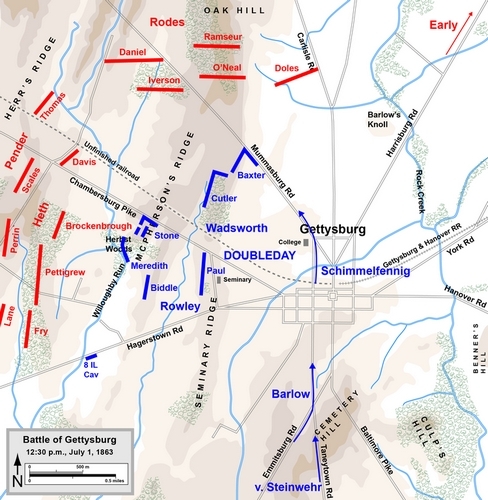 He decided to utilize three ridges west of Gettysburg: Herr Ridge, McPherson Ridge, and Seminary Ridge (proceeding west to east toward the town). 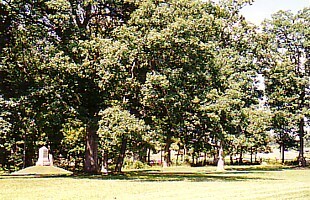 These were appropriate terrain for a delaying action by his small division against numerically superior Confederate infantry, meant to buy time awaiting the arrival of Union infantrymen who could occupy the strong defensive positions south of town, Cemetery Hill, Cemetery Ridge, and Culp's Hill. Early that morning, Reynolds, who was commanding the Left Wing of the Army of the Potomac, ordered his corps to march to Buford's location, with the XI Corps (Maj. Gen. Oliver O. Howard) to follow closely behind. South of the pike, Archer's men were expecting an easy fight against dismounted cavalrymen and were astonished to recognize the black Hardee hats worn by the men facing them through the woods: the famous Iron Brigade, formed from regiments in the Western states of Indiana, Michigan, and Wisconsin, had a reputation as fierce, tenacious fighters. As the Confederates crossed Willoughby Run and climbed the slope into Herbst Woods, they were enveloped on their right by the longer Union line, the reverse of the situation north of the pike. Brig. Gen. Archer was captured in the fighting, the first general officer in Robert E. Lee's army to suffer that fate. 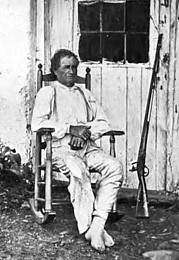 Archer was most likely positioned around the 14th Tennessee when he was captured by Private Patrick Moloney of Company G., 2nd Wisconsin, "a brave patriotic and fervent young Irishman." Archer resisted capture, but Moloney overpowered him. Moloney was killed later that day, but he received the Medal of Honor for his exploit. When Archer was taken to the rear, he encountered his former Army colleague Gen. Doubleday, who greeted him good-naturedly, "Good morning, Archer! How are you? I am glad to see you!" Archer replied, "Well, I am not glad to see you by a damn sight!" 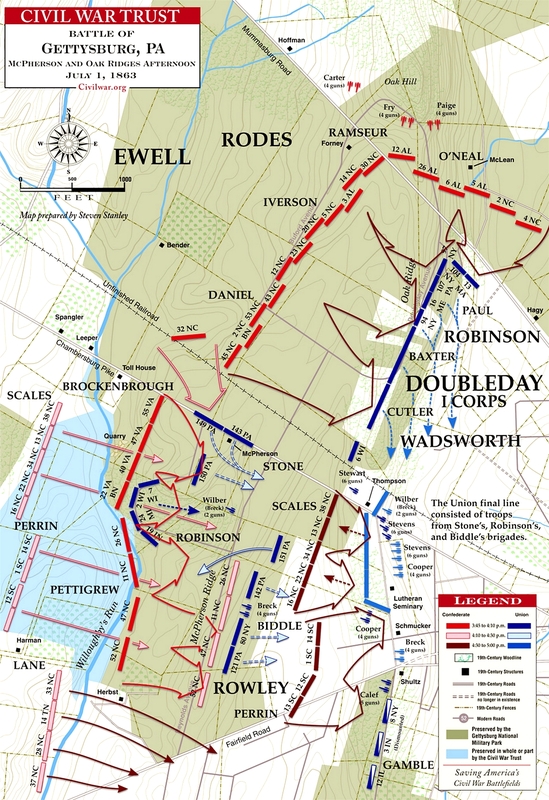 At around 11 a.m., Doubleday sent his reserve regiment, the 6th Wisconsin, an Iron Brigade regiment, commanded by Lt. Col. Rufus R. Dawes, north in the direction of Davis's disorganized brigade. The Wisconsin men paused at the fence along the pike and fired, which halted Davis's attack on Cutler's men and caused many of them to seek cover in the unfinished railroad cut. The 6th joined the 95th New York and the 84th New York (also known as the 14th Brooklyn), a "demi-brigade" commanded by Col. E.B. Fowler, along the pike. The three regiments charged to the railroad cut, where Davis's men were seeking cover. The majority of the 600-foot cut (shown on the map as the center cut of three) was too deep to be an effective firing position—as deep as 15 feet. Making the situation more difficult was the absence of their overall commander, General Davis, whose location was unknown. Despite this surrender, leaving Dawes standing awkwardly holding seven swords, the fighting continued for minutes more and numerous Confederates were able to escape back to Herr Ridge. The three Union regiments lost 390–440 of 1,184 engaged, but they had blunted Davis's attack, prevented them from striking the rear of the Iron Brigade, and so overwhelmed the Confederate brigade that it was unable to participate significantly in combat for the rest of the day. The Confederate losses were about 500 killed and wounded and over 200 prisoners out of 1,707 engaged. By 11:30 a.m., the battlefield was temporarily quiet. On the Confederate side, Henry Heth faced an embarrassing situation. He had been under orders from General Lee to avoid a general engagement until the full Army of Northern Virginia had concentrated in the area. But his excursion to Gettysburg, ostensibly to find shoes, was essentially a reconnaissance in force conducted by a full infantry division. This indeed had started a general engagement and Heth was on the losing side so far. By 12:30 p.m., his remaining two brigades, under Brig. Gen. J. Johnston Pettigrew and Col. John M. Brockenbrough, had arrived on the scene, as had the division (four brigades) of Maj. Gen. Dorsey Pender, also from Hill's Corps. Hill's remaining division (Maj. Gen. Richard H. Anderson) did not arrive until late in the day. Considerably more Confederate forces were on the way, however. Two divisions of the Second Corps, commanded by Lt. Gen. Richard S. Ewell, were approaching Gettysburg from the north, from the towns of Carlisle and York. The five brigades of Maj. Gen. Robert E. Rodes marched down the Carlisle Road but left it before reaching town to advance down the wooded crest of Oak Ridge, where they could link up with the left flank of Hill's Corps. The four brigades under Maj. Gen. Jubal A. Early approached on the Harrisburg Road. Union cavalry outposts north of the town detected both movements. Ewell's remaining division (Maj. Gen. Edward "Allegheny" Johnson) did not arrive until late in the day. On the Union side, Doubleday reorganized his lines as more units of the I Corps arrived. First on hand was the Corps Artillery under Col. Charles S. Wainwright, followed by two brigades from Doubleday's division, now commanded by Brig. Gen. Thomas A. Rowley, which Doubleday placed on either end of his line. The XI Corps arrived from the south before noon, moving up the Taneytown and Emmitsburg Roads. Maj. Gen. Oliver O. Howard was surveying the area from the roof of the Fahnestock Brothers' dry-goods store downtown at about 11:30 when he heard that Reynolds had been killed and that he was now in command of all Union forces on the field. He recalled: "My heart was heavy and the situation was grave indeed, but surely I did not hesitate a moment. God helping us, we will stay here till the Army comes. I assumed the command of the field." Howard immediately sent messengers to summon reinforcements from the III Corps (Maj. Gen. Daniel E. Sickles) and the XII Corps (Maj. Gen. Henry W. Slocum). Howard's first XI Corps division to arrive, under Maj. Gen. Carl Schurz, was sent north to take a position on Oak Ridge and link up with the right of the I Corps. (The division was commanded temporarily by Brig. Gen. Alexander Schimmelfennig while Schurz filled in for Howard as XI Corps commander.) The division of Brig. Gen. Francis C. Barlow was placed on Schurz's right to support him. The third division to arrive, under Brig. Gen. Adolph von Steinwehr, was placed on Cemetery Hill along with two batteries of artillery to hold the hill as a rallying point if the Union troops could not hold their positions; this placement on the hill corresponded with orders sent earlier in the day to Howard by Reynolds just before he was killed. However, Rodes beat Schurz to Oak Hill, so the XI Corps division was forced to take up positions in the broad plain north of the town, below and to the east of Oak Hill. They linked up with the I Corps reserve division of Brig. Gen. John C. Robinson, whose two brigades had been sent forward by Doubleday when he heard about Ewell's arrival. Howard's defensive line was not a particularly strong one in the north. He was soon outnumbered (his XI Corps, still suffering the effects of their defeat at the Battle of Chancellorsville, had only 8,700 effectives), and the terrain his men occupied in the north was poorly selected for defense. He held out some hope that reinforcements from Slocum's XII Corps would arrive up the Baltimore Pike in time to make a difference. Gen. Lee arrived on the battlefield at about 2:30 P.M., as Rodes's men were in mid-attack. Seeing that a major assault was underway, he lifted his restriction on a general engagement and gave permission to Hill to resume his attacks from the morning. First in line was Heth's division again, with two fresh brigades: Pettigrew's North Carolinians and Col. John M. Brockenbrough's Virginians. Pettigrew's Brigade was deployed in a line that extended south beyond the ground defended by the Iron Brigade. Enveloping the left flank of the 19th Indiana, Pettigrew's North Carolinians, the largest brigade in the army, drove back the Iron Brigade in some of the fiercest fighting of the war. The Iron Brigade was pushed out of the woods, made three temporary stands in the open ground to the east, but then had to fall back toward the Lutheran Theological Seminary. Gen. Meredith was downed with a head wound, made all the worse when his horse fell on him. To the left of the Iron Brigade was the brigade of Col. Chapman Biddle, defending open ground on McPherson Ridge, but they were outflanked and decimated. To the right, Stone's Bucktails, facing both west and north along the Chambersburg Pike, were attacked by both Brockenbrough and Daniel. Casualties were severe for both armies that afternoon. The 26th North Carolina (the largest regiment of the army with 839 men) lost heavily, leaving the first day's fight with around 212 men. Their commander, Colonel Henry K. Burgwyn, was fatally wounded by a bullet through his chest. (At 21, Burgwyn was the youngest colonel in the Army of Northern Virginia.) By the end of the three-day battle, they had about 152 men standing, the highest casualty percentage for one battle of any regiment, North or South. One of the Union regiments, the 24th Michigan, lost 399 of 496. It had nine color bearers shot down, and its commander, Col. Henry A. Morrow, was wounded in the head and captured. The 151st Pennsylvania of Biddle's brigade lost 337 of 467. The highest ranking casualty of this engagement was Gen. Heth, who was struck by a bullet in the head. He was apparently saved because he had stuffed wads of paper into a new hat, which was otherwise too large for his head. But there were two consequences to this glancing blow. Heth was unconscious for over 24 hours and had no further command involvement in the three-day battle. He was also unable to urge Pender's division to move forward and supplement his struggling assault. Pender was oddly passive during this phase of the battle; the typically more aggressive tendencies of a young general in Lee's army would have seen him move forward on his own accord. Hill shared the blame for failing to order him forward as well, but he claimed illness. History cannot know Pender's motivations; he was mortally wounded the next day and left no report. By taking the knoll, Barlow was following Howard's directive to obstruct the advance of Early's division, and in doing so, deprive him of an artillery platform, as von Steinwehr fortified the position on Cemetery Hill. The position on the knoll turned out to be unfortunate, as it created a salient in the line that could be assaulted from multiple sides. Schurz ordered Krzyżanowski's brigade, which had heretofore been sitting en masse at the north end of town (without further order to position from Schurz) forward to assist Barlow's two brigades on the knoll, but they arrived too late and in insufficient numbers to help. Historian Harry W. Pfanz judges Barlow's decision to be a "blunder" that "ensured the defeat of the corps." Richard Ewell's second division, under Jubal Early, swept down the Harrisburg Road, deployed in a battle line three brigades wide, almost a mile across and almost half a mile wider than the Union defensive line. Early started with a large-scale artillery bombardment. The Georgia brigade of Brigadier-General John B. Gordon was then directed for a frontal attack against Barlow's Knoll, pinning down the defenders, while the brigades of Brigadier-General Harry T. Hays and Colonel Isaac E. Avery swung around their exposed flank. At the same time the Georgians under Doles launched a synchronized assault with Gordon. The defenders of Barlow's Knoll targeted by Gordon were 900 men of von Gilsa's brigade; in May, two of his regiments had been the initial target of Thomas J. "Stonewall" Jackson's flanking attack at Chancellorsville. The men of the 54th and 68th New York held out as long as they could, but they were overwhelmed. Then the 153rd Pennsylvania succumbed. 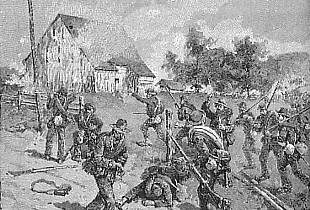 Barlow, attempting to rally his troops, was shot in the side and captured. Barlow's second brigade, under Ames, came under attack by Doles and Gordon. Both Union brigades conducted a disorderly retreat to the south. On the left flank of the XI Corps, the attack focused on Gen. Schimmelfennig's division. They were subjected to a deadly artillery crossfire from Rodes' and Early's batteries, and as they deployed they were attacked by Doles' infantry. Early's troops were able to employ a flanking attack and roll up the division from the right, and they fell back in confusion toward the town. A desperate counterattack by the 157th New York from von Amsberg's brigade was surrounded on three sides, causing it to suffer 307 casualties (75%). Gen. Howard, witnessing this disaster, sent forward an artillery battery and an infantry brigade from von Steinwehr's reserve force, under Col. Charles Coster. Coster's battle line just north of the town in Kuhn's brickyard was overwhelmed by Hays and Avery. He provided valuable cover for the retreating soldiers, but at a high price: of Coster's 800 men, 313 were captured, as were two of the four guns from the battery. The collapse of the XI Corps was completed by 4 p.m., after a fight of less than an hour. They suffered 3,200 casualties (1,400 of them prisoners), about half the number sent forward from Cemetery Hill. The losses in Gordon's and Doles's brigades were under 750. Rodes's original faulty attack at 2:00 had stalled, but he launched his reserve brigade, under Ramseur, against Paul's Brigade in the salient on the Mummasburg Road, with Doles's Brigade against the left flank of the XI Corps. Daniel's Brigade resumed its attack, now to the east against Baxter on Oak Ridge. This time Rodes was more successful, mostly because Early coordinated an attack on his flank. In the west, the Union troops had fallen back to the Seminary and built hasty breastworks running 600 yards north-south before the western face of Schmucker Hall, bolstered by 20 guns of Wainwright's battalion. Dorsey Pender's division of Hill's Corps stepped through the exhausted lines of Heth's men at about 4:00 p.m. to finish off the I Corps survivors. The brigade of Brig. Gen. Alfred M. Scales attacked first, on the northern flank. His five regiments of 1,400 North Carolinians were virtually annihilated in one of the fiercest artillery barrages of the war, rivaling Pickett's Charge to come, but on a more concentrated scale. Twenty guns spaced only 5 yards apart fired spherical case, explosive shells, canister, and double canister rounds into the approaching brigade, which emerged from the fight with only 500 men standing and a single lieutenant in command. Scales wrote afterwards that he found "only a squad here and there marked the place where regiments had rested." For the XI Corps, it was a sad reminder of their retreat at Chancellorsville in May. Under heavy pursuit by Hays and Avery, they clogged the streets of the town; no one in the corps had planned routes for this contingency. Hand-to-hand fighting broke out in various places. Parts of the corps conducted an organized fighting retreat, such as Coster's stand in the brickyard. The private citizens of Gettysburg panicked amidst the turmoil, and artillery shells bursting overhead and fleeing refugees added to the congestion. Some soldiers sought to avoid capture by hiding in basements and in fenced backyards. 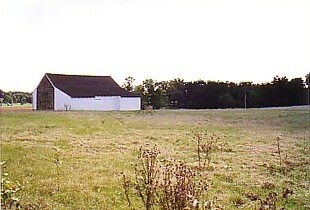 Gen. Alexander Schimmelfennig was one such person who climbed a fence and hid behind a woodpile in the kitchen garden of the Garlach family for the rest of the three-day battle.The only advantage that the XI Corps soldiers had was that they were familiar with the route to Cemetery Hill, having passed through that way in the morning; many in the I Corps, including senior officers, did not know where the cemetery was. Gen. Lee also understood the defensive potential to the Union army if they held the high ground of Cemetery Hill. He sent orders to Ewell to "carry the hill occupied by the enemy, if he found it practicable, but to avoid a general engagement until the arrival of the other divisions of the army." In the face of this discretionary, and possibly contradictory, order, Ewell chose not to attempt the assault. One reason posited was the battle fatigue of his men in the late afternoon, although "Allegheny" Johnson's division of Ewell's Corps was within an hour of arriving on the battlefield. 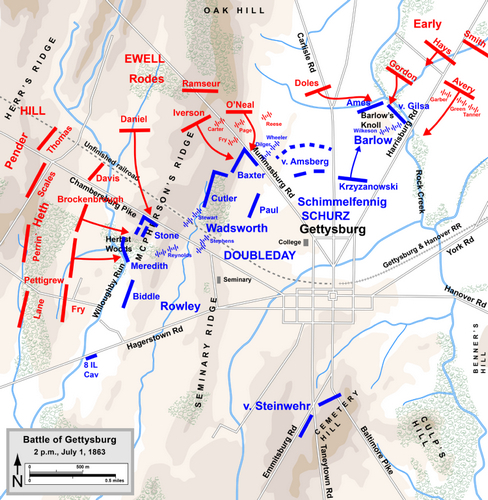 Another was the difficulty of assaulting the hill through the narrow corridors afforded by the streets of Gettysburg immediately to the north. Ewell requested assistance from A.P. Hill, but that general felt his corps was too depleted from the day's battle and General Lee did not want to bring up Maj. Gen. Richard H. Anderson's division from the reserve. Ewell did consider taking Culp's Hill, which would have made the Union position on Cemetery Hill untenable. However, Jubal Early opposed the idea when it was reported that Union troops (probably Slocum's XII Corps) were approaching on the York Pike, and he sent the brigades of John B. Gordon and Brig. Gen. William "Extra Billy" Smith to block that perceived threat; Early urged waiting for Johnson's division to take the hill. After Johnson's division arrived via the Chambersburg Pike, it maneuvered toward the east of town in preparation to take the hill, but a small reconnaissance party sent in advance encountered a picket line of the 7th Indiana Infantry, which opened fire and captured a Confederate officer and soldier. The remainder of the Confederates fled and attempts to seize Culp's Hill on July 1 came to an end. Lee's order has been criticized because it left too much discretion to Ewell. Numerous historians and proponents of the Lost Cause movement (most prominently Jubal Early, despite his own reluctance to support an attack at the time) have speculated how the more aggressive Stonewall Jackson would have acted on this order if he had lived to command this wing of Lee's army, and how differently the second day of battle would have proceeded with Confederate artillery on Cemetery Hill, commanding the length of Cemetery Ridge and the Federal lines of communications on the Baltimore Pike. Stephen W. Sears has suggested that Gen. Meade would have invoked his original plan for a defensive line on Pipe Creek and withdrawn the Army of the Potomac, although that movement would have been a dangerous operation under pressure from Lee. Most of the rest of both armies arrived that evening or early the next morning. Johnson's division joined Ewell and Maj. Gen. Richard H. Anderson's joined Hill. Two of the three divisions of the First Corps, commanded by Lt. Gen. James Longstreet, arrived in the morning. Three cavalry brigades under Maj. Gen. J.E.B. Stuart were still out of the area, on a wide-ranging raid to the northeast. Gen. Lee sorely felt the loss of the "eyes and ears of the Army"; Stuart's absence had contributed to the accidental start of the battle that morning and left Lee unsure about enemy dispositions through most of July 2. On the Union side, Meade arrived after midnight. The II Corps and III Corps took up positions on Cemetery Ridge, and the XII Corps and the V Corps were nearby to the east. Only the VI Corps was a significant distance from the battlefield, marching rapidly to join the Army of the Potomac. McPherson's Ridge and "The Old Gettysburg Hero"
One of the more interesting personalities to participate in the battle that day was Gettysburg civilian John Burns. The 70 year-old veteran of the War of 1812 took up his flintlock musket and walked out to the scene of the fighting that morning. Approaching an officer of a Pennsylvania Bucktail regiment, Burns requested that he be allowed to fall in with the officer's command. Not quite believing his eyes nor ears, the officer sent the aged Burns into the woods next to the McPherson Farm, where he fought beside members of the Iron Brigade throughout the afternoon until he was wounded. Injured and exhausted, the old man made his way through groups of victorious Confederates who remarkably allowed him to go home unmolested. After the battle, he was elevated to the role of national hero. Hearing about the aged veteran, Mathew Brady photographed Burns while recuperating at his home on Chambersburg Street and took the story of Burns and his participation in the battle back home to Washington. Others soon became interested in the story and when President Lincoln came to Gettysburg to dedicate the Soldiers National Cemetery that fall, it was John Burns who the president wished to meet. Burns' fame quickly spread and a poem about his exploits was published in 1864. His notoriety faded after the war, but Burns was proud of his service to his country and his hometown. John Burns died in 1872 and is buried in Evergreen Cemetery in Gettysburg. "John Burns, although past his three score years and ten, learning of the enemies army approach took down his flintlock rifle, joined our troops in defence of his home and fireside..."
The popularity of John Burns' participation in the battle grew in the post war years. His home on Chambersburg Street was razed after his death and veterans of the battle remarked that something should be done to commemorate his services. Reacting to a proposal by a Pennsylvania chapter of the Sons of Union Veterans, the state enacted legislation to provide funds for a fitting monument. The Pennsylvania Board of Commissioners on Gettysburg Monuments desired that the monument be placed on the field where Burns had fought with the 150th Pennsylvania and 2nd Wisconsin regiments, and a site was chosen on McPherson's Ridge next to Herbst Woods. 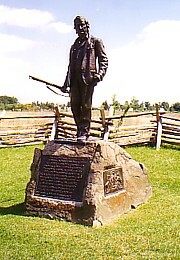 Sculptor Albert G. Bureau chose to depict a defiant Burns with clenched fist, stubbornly carrying his flintlock musket in battle. In reality, Burns used a rifle musket borrowed from a wounded Union soldier. Placed upon a boulder taken from the battlefield, the monument was dedicated on July 1, 1903, on the occasion of the 40th anniversary of the battle. The Edward McPherson farm is situated on the Chambersburg Road (US Rt.30) one half mile west of Gettysburg. Typical of many Pennsylvania farms, it included a house, barn, several outbuildings, pasture and cropland as well as a small orchard. Nearby was a small forest (often referred to as "woodlots" by farmers), owned by a neighbor named John Herbst. Most of McPherson's farm was pasture though two fields were planted in corn and wheat. A significant feature of the farm is the two ridges that run perpendicular to the Chambersburg Pike and offered Union cavalry and infantry a good position to defend against the Confederate attacks which took place here on the afternoon of July 1. It was on the McPherson Farm that Brig. General John Buford's Cavalry Division camped while pickets and scouts stood watch from posts between the farm and Cashtown, Pennsylvania, eight miles away. At approximately 8 A.M. on the morning of July 1, a Union picket post manned by the 8th Illinois Cavalry on the Chambersburg (or Cashtown) Pike near Seven Stars confronted Confederate infantry commanded by General Henry Heth. 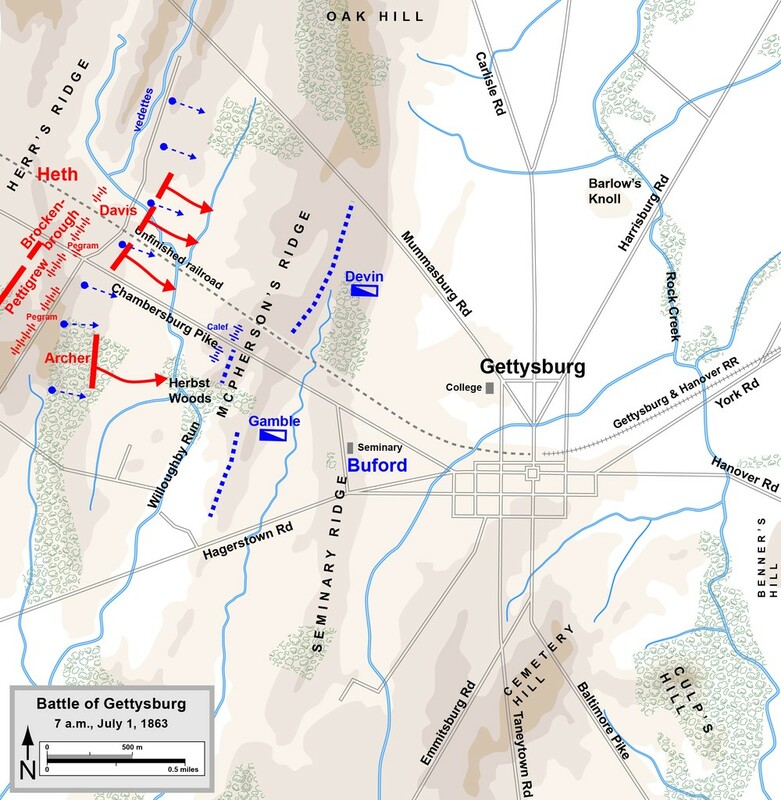 Heth's men brushed aside the first Union pickets and continued their advance toward Gettysburg while outnumbered Union troopers slowly fell back toward town. Buford had wisely posted the bulk of his troops along Willoughby Run on the western border of the McPherson Farm, with his artillery and other dismounted troopers resting on the ridge overlooking the stream and the bridge that crossed it. "The two lines soon became hotly engaged," Buford reported, "we having the advantage of position, he of numbers. The First Brigade held its own for more than two hours, and had to be... dragged back... to a position more secure and better sheltered. The Brigade maintained this unequal contest until the leading division of General Reynold's corps came up to its assistance." The Union infantry was from the First Corps commanded by Maj. General John F. Reynolds. Arriving on the scene at about 10 A.M., the Union troops threw back Heth's soldiers in a furious counterattack. General Reynolds was shot dead while leading his troops into the woods south of the farm. Born in Lancaster, Pennsylvania, Reynolds was a highly respected officer in the Army of the Potomac and well known by his Confederate counterparts. The vicious Union counterattack inflicted heavy losses on the Confederates, a brigade commanded by Brig. General James Archer who was taken prisoner by Private Patrick Maloney, a member of the 2nd Wisconsin Infantry. General Archer was being led to the rear when he encountered General Abner Doubleday, his old West Point classmate. Seeing the Archer for the first time in many years, Doubleday thrust out his hand and remarked how glad he was to see him. "Well, I'm not glad to see you by a damned sight, Doubleday," Archer vehemently replied before he was escorted back and eventually into a prisoner of war camp. North of the Chambersburg Pike, Brig. General Joseph Davis' Brigade routed a portion of Cutler's Brigade, opening the right flank of the Union troops battling Archer's men. Quick thinking Union officers ordered a counterattack and Davis' men were driven back after a desperate struggle in an unfinished railroad bed where the Confederates had taken refuge from Union fire. A short lull in the battle gave both sides time to reorganize. Major General Abner Doubleday of New York assumed command of the Union First Corps and established a defensive line through the McPherson Farm, northward along Seminary Ridge to Oak Hill. Other troops arrived and marched into the fields north of Gettysburg. Meanwhile, two additional Confederate divisions under Robert Rodes and William Dorsey Pender arrived and went into battle formations west and north of the Union line. At 1 o'clock that afternoon, the Confederate assault was renewed. 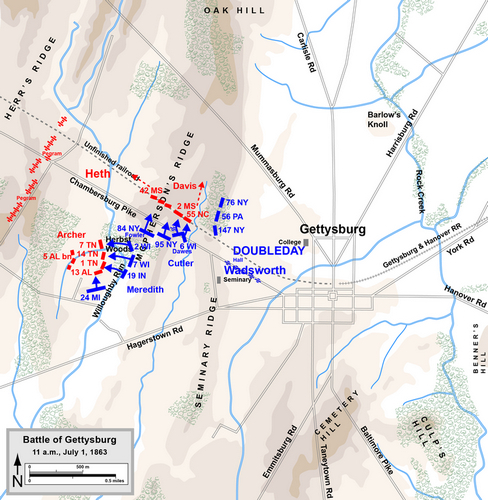 General Heth sent his two fresh brigades to press the attack on the McPherson Farm and heavy fighting quickly spread north and south along the ridge. Colonel John M. Brockenbrough's Virginia Brigade splashed through Willoughby Run and moved toward the McPherson buildings, surrounded by Colonel Roy Stone's Pennsylvania "Bucktail" Brigade. Positioned behind stout rail fences, Stone's men threw back repeated attacks from General Junius Daniels' North Carolina Brigade attacking through the fields north of the Chambersburg Pike. Meanwhile, Brockenbrough's men were forced to march across several hundred yards of open meadow in front of the Pennsylvanians who unleashed a withering fire into the struggling Confederates. Brockenbrough mistakenly sent in one or two regiments at a time, attempting to reserve some of his strength to exploit a break. The Virginians suffered under the Union rifle and artillery fire, and each attempt to force the Bucktails out was met with renewed defiance. Pinned by this murderous fire, Brockenbrough could only hold on and hope for support from Brig. General James J. Pettigrew's North Carolina Brigade, advancing on his right into the trees on the southern edge of the McPherson property. Yet Pettigrew's men had also run into a stone wall. When his "Tar Heels" waded Willoughby Run and ascended the wooded slope of the Herbst Farm woods (mistakenly called "McPherson's Woods" by some participants), they ran headlong into the "Iron Brigade". Major Jones of the 26th North Carolina Infantry Regiment recalled: "The fighting was terrible- our men advancing, the enemy stubbornly resisting, until the two lines were pouring volleys into each other at a distance not greater than 20 paces." During one of the last charges, the 26th's twenty one year-old colonel, Harry Burgwyn, grasped the regimental flag and led his men up to the faces of the 24th Michigan Infantry. As Burgwyn turned to see his men follow him, he was struck through the side by a bullet that spun him around and flat to the ground. Lt. Colonel Lane picked up the flag and continued to encourage his men in the charge leaving the 26th's mortally wounded commander to the care of others. Within minutes, Lane was also shot, the bullet passing through his neck muscles, shattering his jaw and knocking out several teeth. Remarkably Lane survived his horrible wound, though Colonel Burgwyn died that evening. The Iron Brigade's soldiers were down to their last cartridges and the position was beginning to break. Heavy losses and the arrival of fresh Confederate units compelled the Union regiments to give way, but losses in the Confederate ranks were equally bad and included many regimental and company officers. Among those severely injured was General Heth, wounded while directing his troops around the stubborn Union defense on the McPherson Farm. A Union bullet struck the general a glancing blow to the head though it could have been much worse- he was wearing a new hat that he had stuffed the interior sweat band with newspaper for a proper fit. The bullet hit at such an angle that it ringed the inside of his hat, knocking him senseless and leaving a mark around his scalp similar to a burn. General Pettigrew took command of the division as the dazed Heth was helped from the field. General Lee arrived on the field by mid-afternoon, disturbed that a major battle had been initiated against his orders. Despite the fact that a large portion of his army was still miles away from the battle site, the general quickly realized that he had an advantage in numbers and was anxious to press the attack on the Union positions. 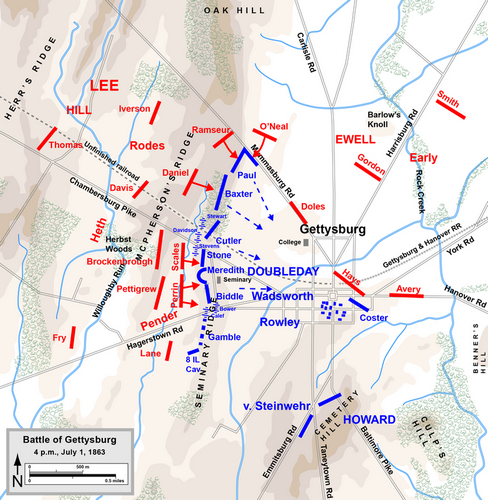 Lee immediately ordered his generals to continue the attack and drive back the Union troops north and west of Gettysburg. 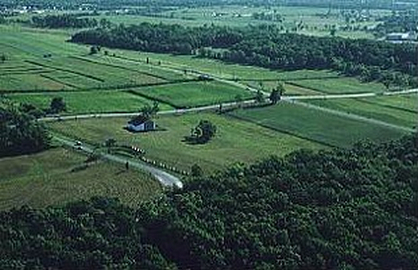 After several hours of bitter fighting, the Northerners withdrew from the McPherson Farm area to Seminary Ridge where they made one final stand prior to retreating to Cemetery Hill south of Gettysburg. The fighting which swirled around this farm was heavy and bloody for both sides. After the battle, the McPherson buildings were used as a temporary hospital by Confederate surgeons. Of the original McPherson buildings only the McPherson Barn remains. Time and the elements had taken a heavy toll on the barn until 1978 when it was restored by the National Park Service. The barn is currently under lease to a local farmer who also uses land around it for pasture under a Park Service lease agreement. Sources: National Park Service; Gettysburg National Military Park; Official Records of the Union and Confederate Armies; Library of Congress; National Archives; Civil War Trust, civilwar.org. The men of the 149th took the extension of the bucktail distinction with bad grace, and the two junior regiments initially were given all the least desirable assignments. At Gettysburg on July 1st, 1863, the two new units proved themselves by their gallant stand at McPherson's Farm and the entire brigade remained highly regarded throughout the Army of the Potomac for the rest of the war. James Dougherty describes this action in unprecedented detail, with extensive reference to the surviving diaries and eyewitness accounts. The author's extensive background in emergency medical services also gives him considerable expertise in describing the fearsome wounds sustained in this action and their subsequent treatment. This is a read for anyone seriously interested in American history and what transpired and shaped a nation on those pivotal days in July 1863.